I love learning the names of wild plants. Yesterday morning I took a picture of a bright yellow, four-petaled flower I didn't recognize. When I looked it up at home, I learned: evening primrose. But, I wondered why it was wide open in the morning. Oenothera biennis has a life span of two years (biennial) growing to 30–150 cm (12–59 in) tall. . . 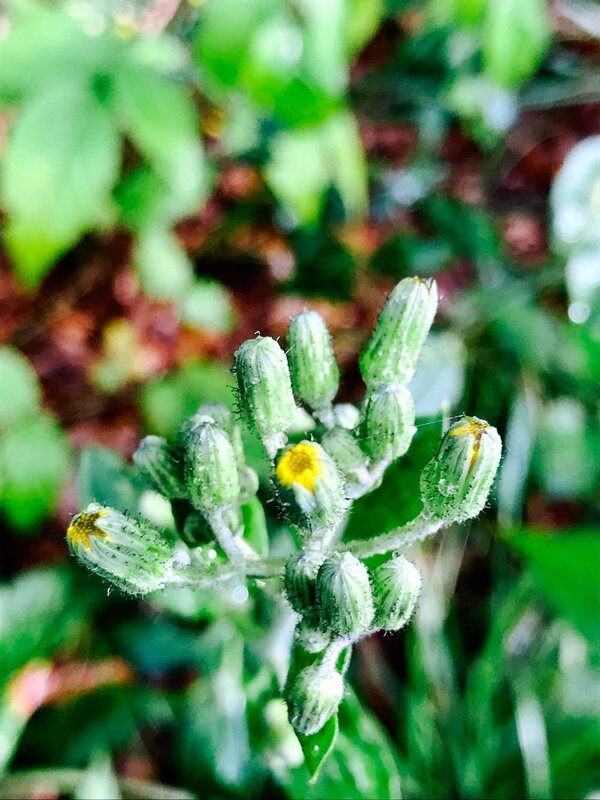 Instead of walking this morning, I took a run,and crossing a different meadow, saw out of the corner of my eye what I instantly guessed was evening primrose - unopened. After more searching today, I learned the evening primrose opens around 9 p.m. in the evening, and it stays open until about noon the next day. I also found a youtube video of an evening primrose opening - you can watch it below. All this naming and observing and mystery solving of beautiful plants growing wild simply makes me very happy, and very satisfied. Real time (not time-lapse) recording of an evening primrose flower opening. Every evening at dusk, two dozen or so new flowers open up on this plant. The blossoms only last until the following day. It has been blooming for weeks. Recorded August 11, 2006, Toronto, Canada using a Nikon Coolpix 3700 digital camera.